If during your search for a preschool for your little one, you would like to find a program that teaches children about a host of skills in a non-competitive, play-based learning environment, the Bank Street preschool method (or Bank Street College method), may just be what you are looking for. The Bank Street method employs a child-centered education program focusing on the diversity of curriculum. Students are offered active educational opportunities in areas that develop cognitive, emotional, physical, and social growth. Learning often includes more than one subject and in groups, allowing that children learn at various levels and using different methods. Play is often used as an educational jumping off point, and teachers take advantage of teachable moments wherever possible. A driving principle behind the Bank Street philosophy is that children can become lifelong learners by interacting with the environment around them, including other people, different places, and various things, and then interpret what they've just experienced. Students are offered myriad opportunities in which to do this—blocks, dramatic play, puzzles, field trips, and lab work. To this end, teachers are very much aware of a child's place in the world and how influences outside of school, including personal interests, the child's current personal development and pace of development, and whatever else may be going on in the world around them. If the lesson goes well, the teacher may even explore going on a field trip to a supermarket, or bring in a nutritionist to talk to the children about making good food choices at meal and snack times. As displayed in the example above, the Bank Street method does a great job of taking child-centered play as a jumping off point and using it to teach valuable lessons. This can sometimes lead to chaos in the classroom—toys that aren't put away immediately, for example—but there is structure. Most Bank Street preschools use common techniques found in most classrooms including morning meetings, calendar time, and recess outside. 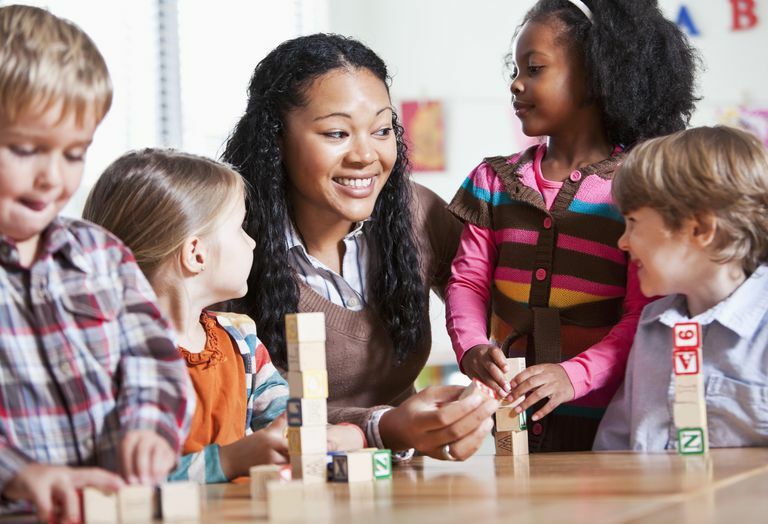 Additionally, preschool teachers certainly have a curriculum to follow, but they are prepared to change topics based on what the children are showing interest in at the time. When it comes to admission to schools that employ the Bank Street method, students are usually accepted as young as 3 years of age, although you should check with your individual school. Many preschool classrooms include children of varying ages, so it won't be uncommon to find a room with children as young as 2 and as old as 5 learning and playing together. Bank Street College in New York City was founded in 1916 by Lucy Sprague Mitchell. Today, it houses a graduate school in education, the School for Children and Family Center, the Division of Continuing Education, and the Publications and Media Group.